You have selected the Englisch section of my homepage. 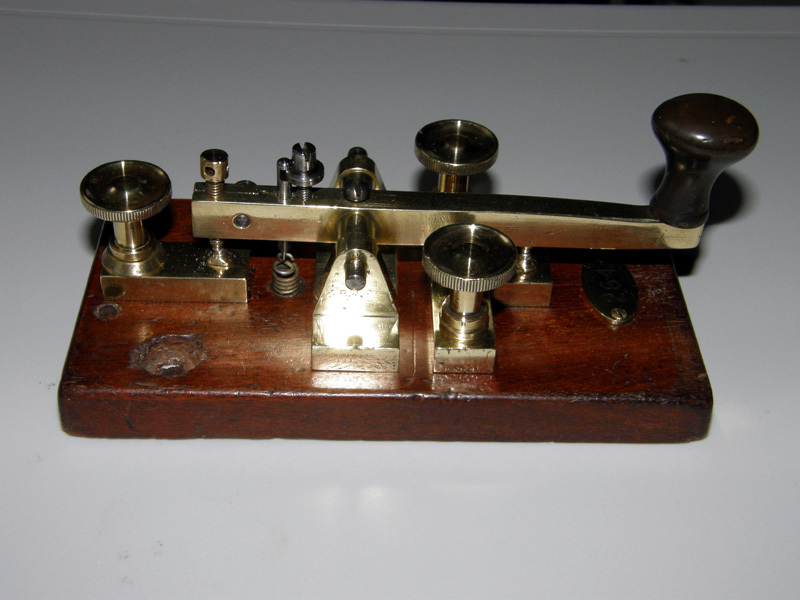 Hi, this is DL4PY. 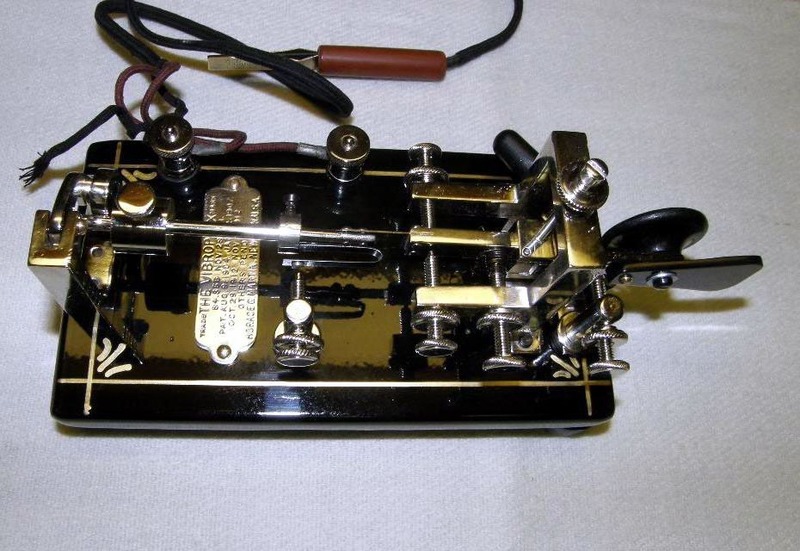 My name is TOM and my hobby is amateur radio. 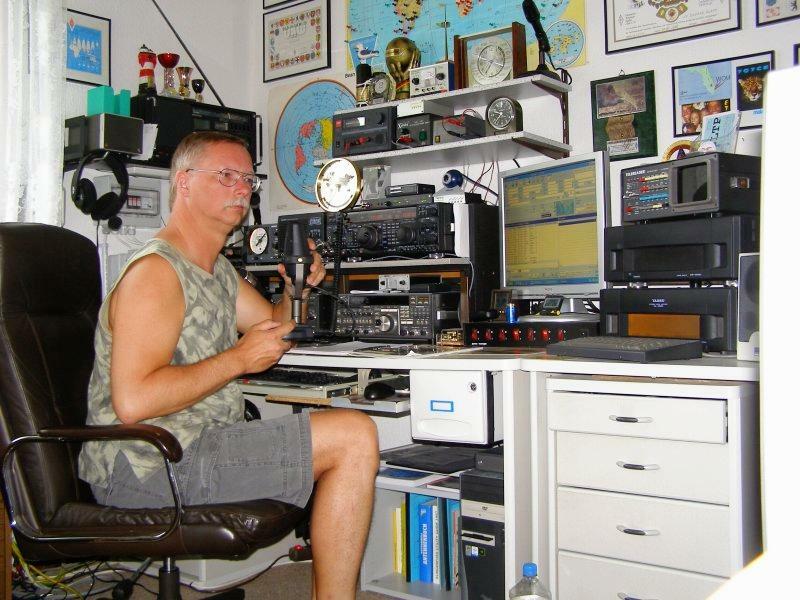 I'm interested in communications, technics and talking to people all over the world via the shortwave radio. 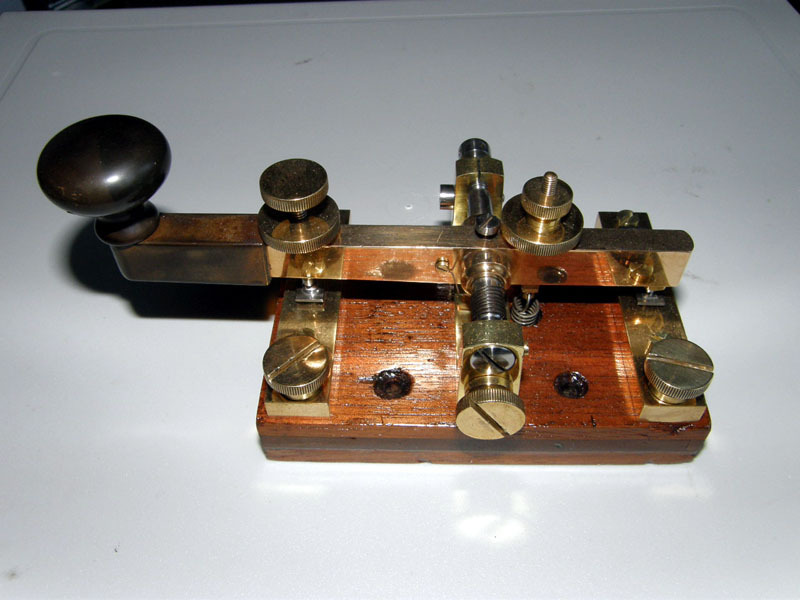 I'm operating the Clubstation DF0COC, too and my DOK is K45. 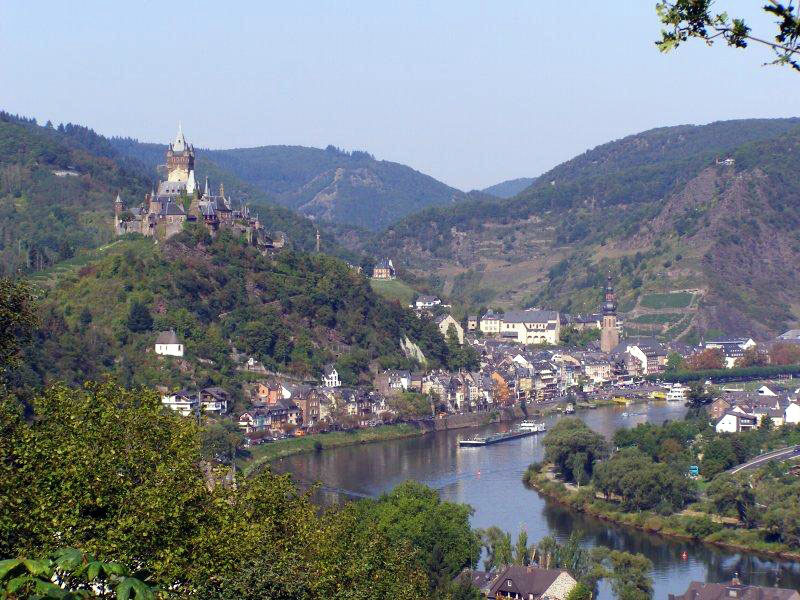 I'm living in Cochem in the Moselle valley. It's a small town and the population is about 6000. There are many old castle ruins in the valley, the wine is great and a lot of tourists are visiting the county for wine tasting, water sports, camping, hiking and visiting the other tourist attractions like the old roman capitol Augusta Treverorum, TRIER, with it's 2000 years old monuments. 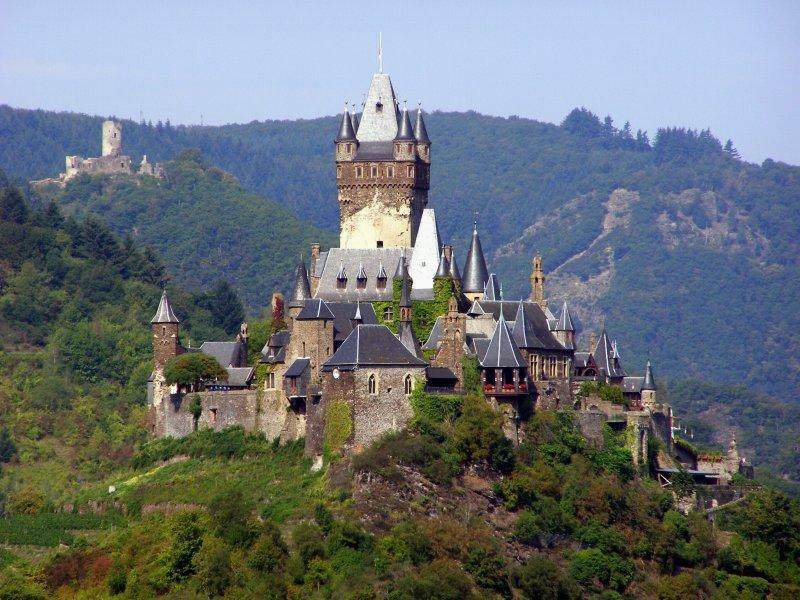 You can take a ride to Ruedesheim, the Loreley rock and the nearby Rhine valley as well. 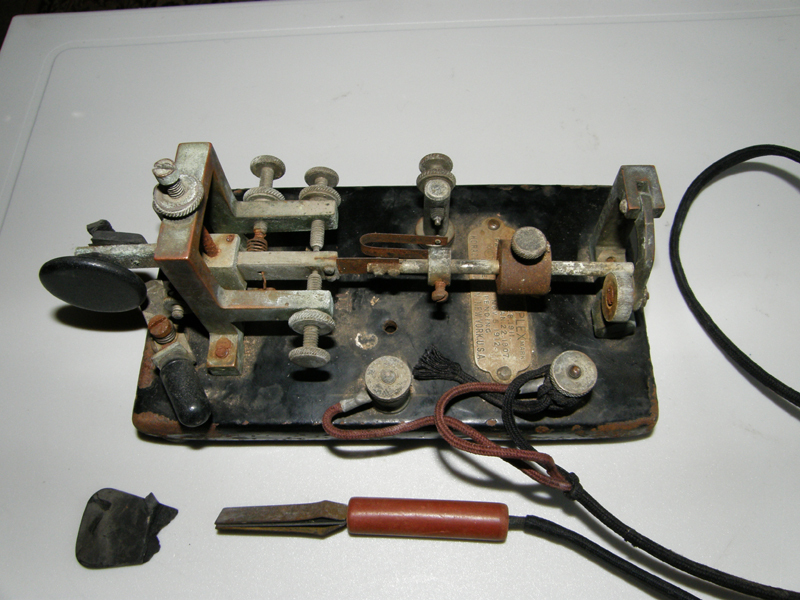 I like DX-ing, I collect old transistor radios and old morse keys. 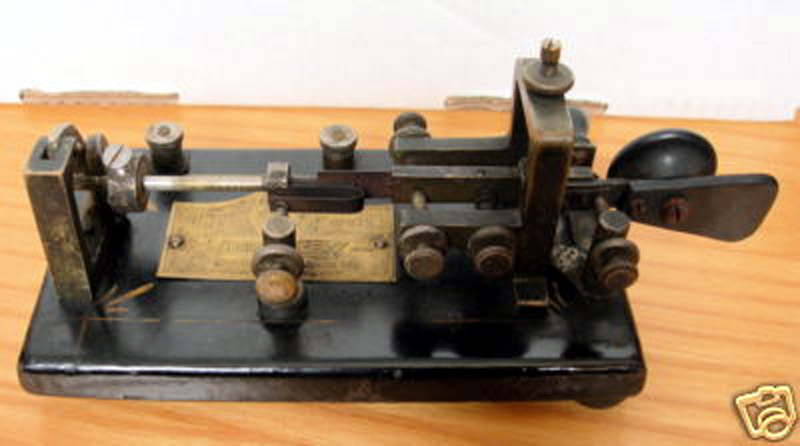 Look on the German section of my homepage for the TELEGRAPH KEY MUSEUM somewhere in the middle of the sitemap. 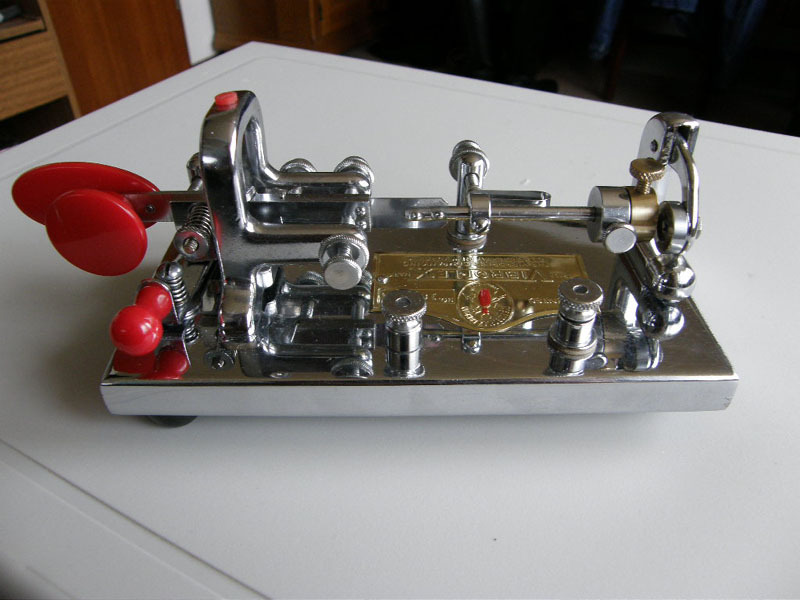 There are a lot of old Morse keys from all other the world in my collection, even many bugs from the USA, MOSELTAL shows some pictures from the Moselle valley, BURGEN shows some old castles, QTH shows some pictures from my hometown Cochem. 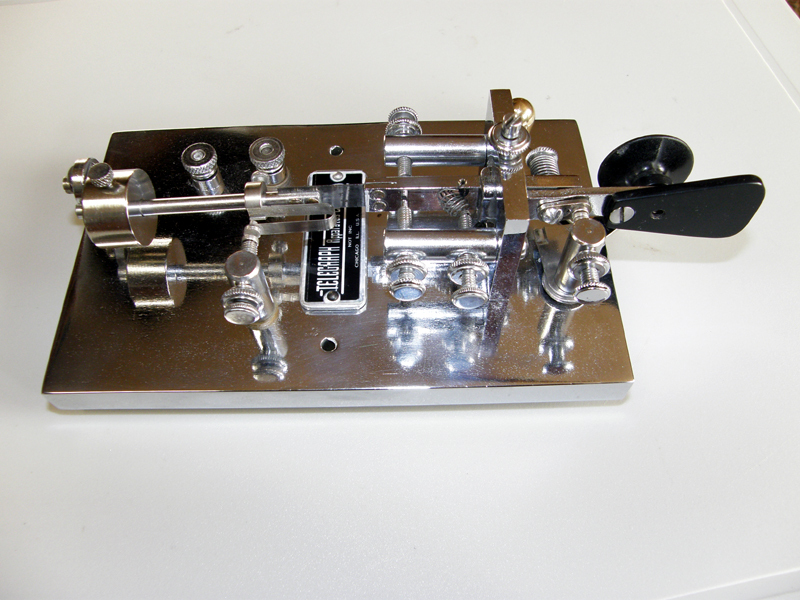 My major modes are SSB and RTTY, even sometimes CW. 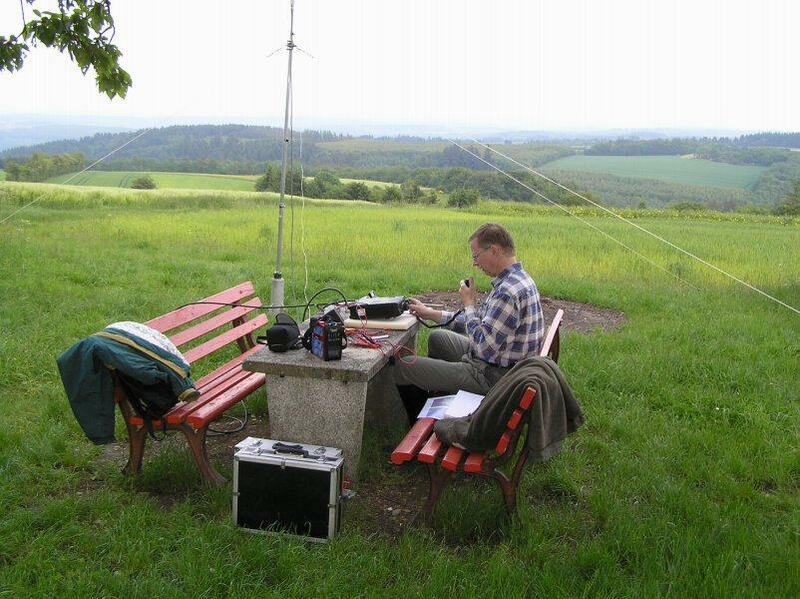 I participate in many contests, I collect QSL-cards as well and in summertime I make portable operations on UHF / VHF from a hillside with an elevation of 1300 feet. Cochem castle and Winneburg castle ruin in the background, it's on my QSL, too. 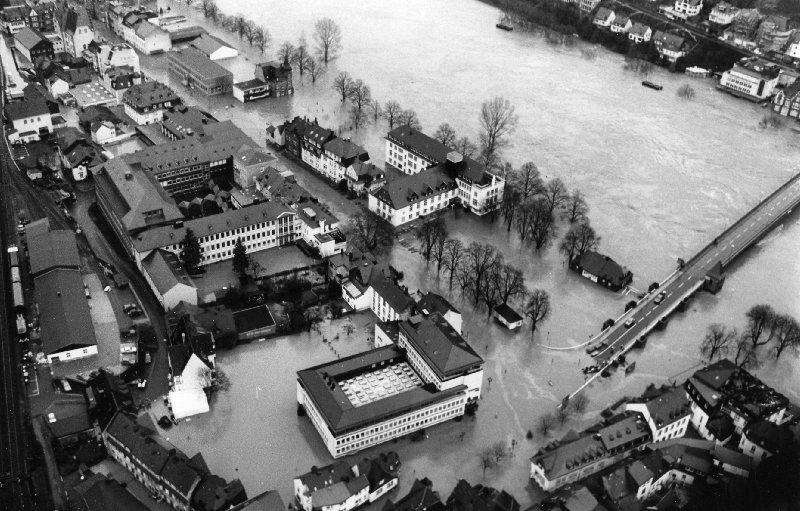 there are several floddings during wintertime, this picture shows the worsest one, the flood of the century from 1993. 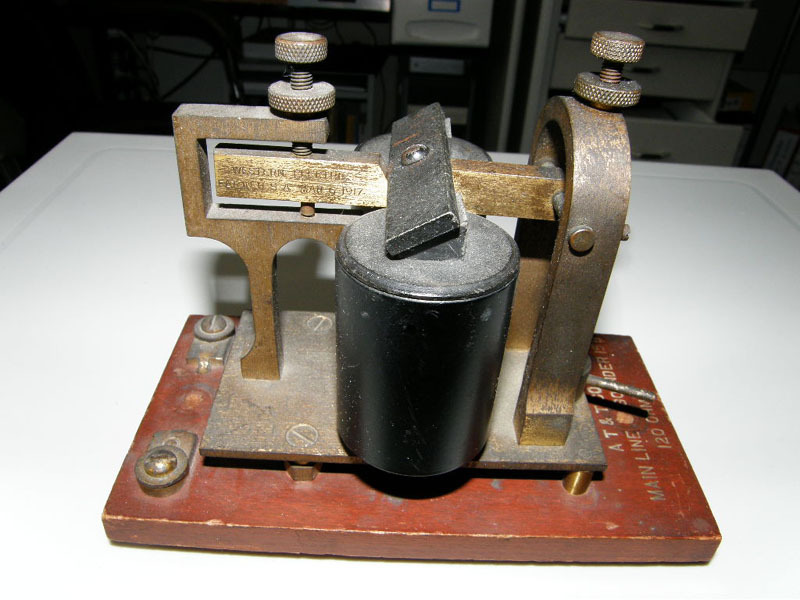 USA, Sounder, Western Electric 1917, AT & T MAIN LINE SOUNDER 120 Ohm. 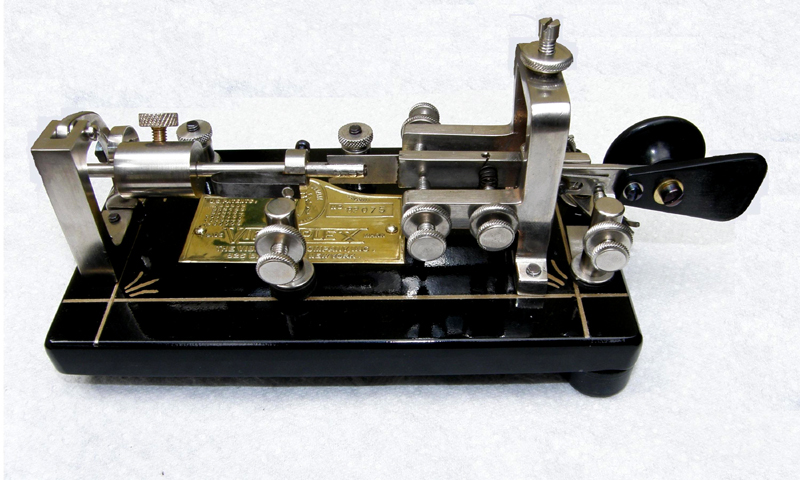 USA, Bunnel-Martin flash key, Typ 5-46, 1930/1940 ??? 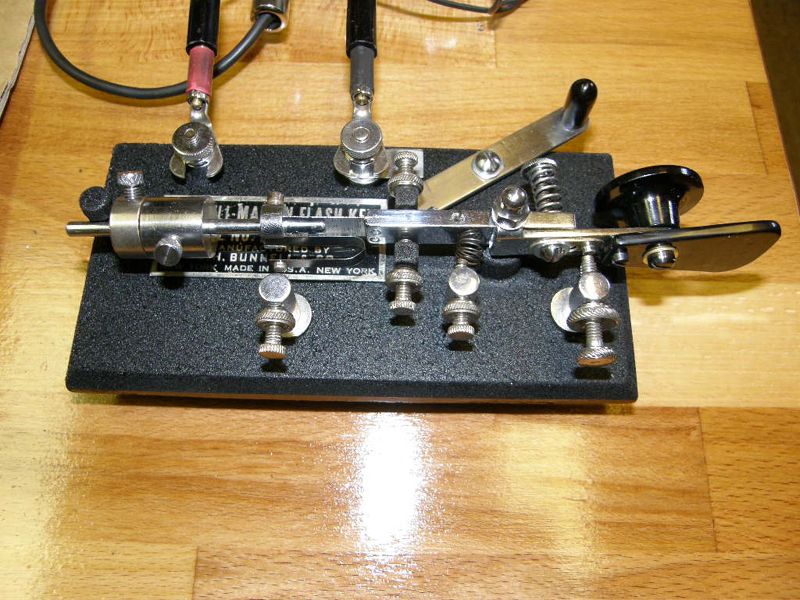 USA, Vibroplex semi-automatic Original, Serial number: 51170 from 1914, the label reads Horace G. Martin, THE VIBROPLEX trademark, incl. the original railroad wires. As found on EBAY from an old house in Tenneessee that was hit by a tornado many many years ago. A nice bug for repair and refinishing during wintertime, although the wintertime hasn't started yet the bug is almost ready. 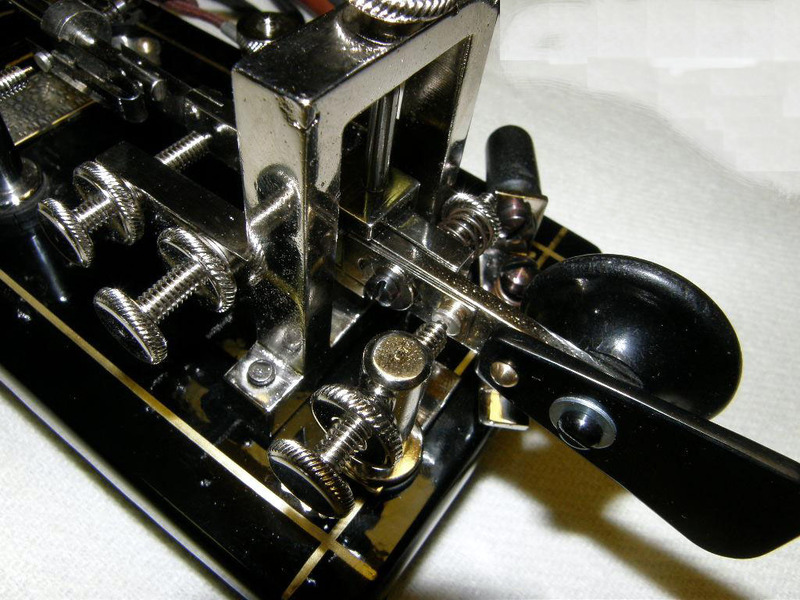 All parts got a new nickel coating, the base got a new finish and gold-trim and I made some new screws in my toolshop, I made a new arbor, a new dash-contact-plate with a new silver contact, a new paddle was made and a couple of new pins and rivets, too. All screws got a new blueing.